For the second year in a row, our libraries have been given a prize bike by Adopt-A-Library. Each library region chooses how to award the prize; here in our region we offer ballots giving kids three chances to win. Each ballot has a different challenge on it. This year the challenges involve drawing and writing. 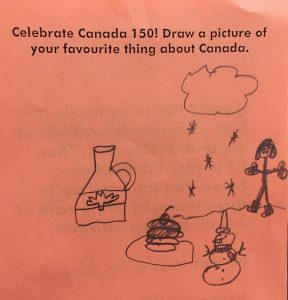 Last year only one of our challenges was drawing, and I forgot about the added bonus of getting hundreds of drawings as a result. As the drawings are on the back side of the ballots, and no names are visible, we can use the drawings as advertising for the contest. And looking through the entries is just downright fun- I like to look at them at the end of a long day, to put a smile back on my face. This year we also have a monthly contest for our Book Club 150, which features a different Canadian author each month. 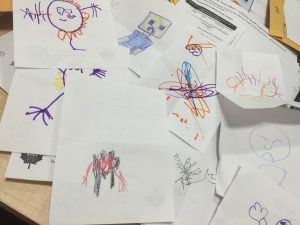 During the summer months all our authors and prizes are child-related, so we are getting yet another batch of great entries, like these little monster drawings for our Marie-Louise Gay prize. 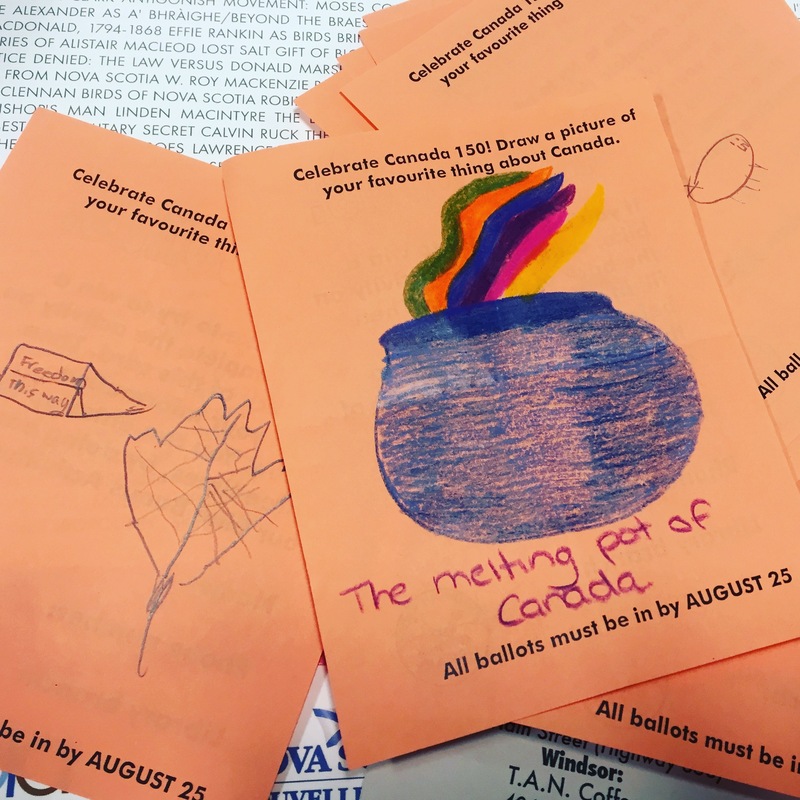 These ballots are an easy way to give away a “big” prize, and they encourage literacy and art as well; you could add in other challenges like science or math (last year we had a cipher puzzle). Our patrons love contests, and we can extend the contests to Facebook and Twitter to get even more people interested. I’d love to hear about your contests — tell us in the comments!